When I was planning for my grandchildren to spend the day with me, my mind went to activities centered around flowers because I had seen several blooming daffodils and flowering trees in my travels. 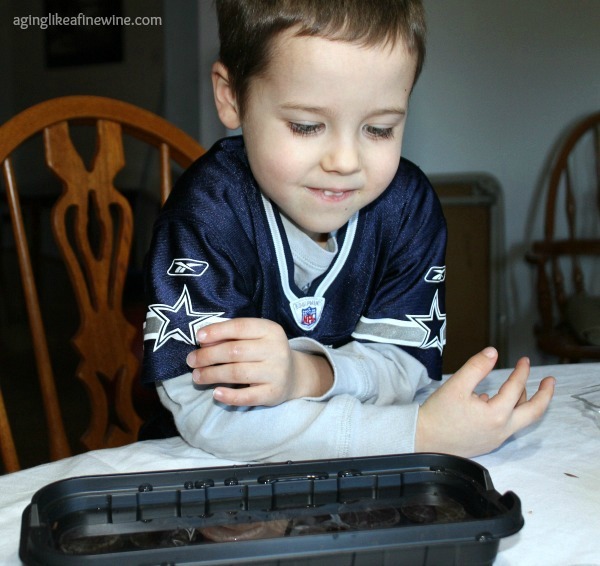 I decided to include planting flower seeds (to be transplanted to Grandma’s flower garden later), making a flower craft and reading a book or two about flowers to round out our flower adventures. I purchased 3 little windowsill greenhouse sets and some flower seeds so that each grandchild could plant their very own seeds. These worked great. You just open them, pour water over the wafers inside and watch them expand. Then open the mesh that covers the top of the wafer, put 2 or 3 seeds in each wafer and place the clear top on. 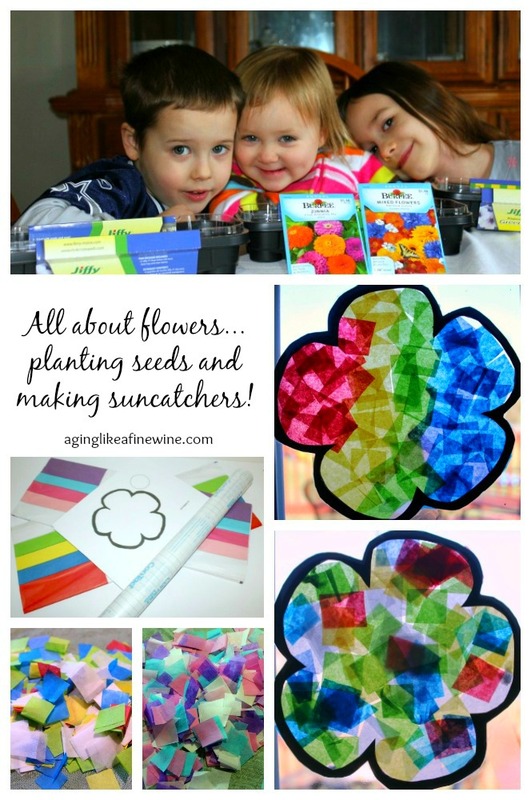 Once the seeds were all planted and placed in the windowsill, we moved on to our craft, which was to make a flower sun-catcher. 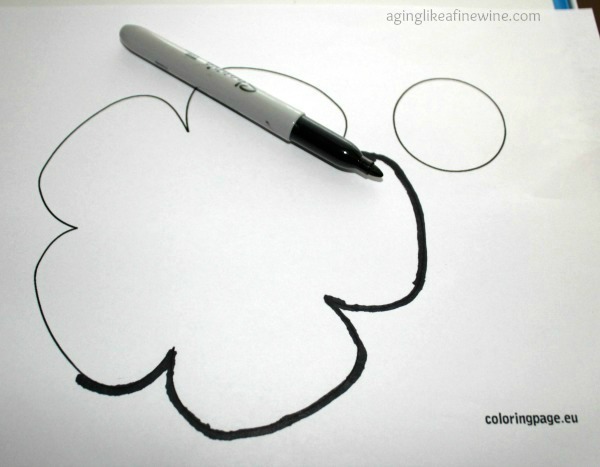 A large flower template that can be cut out, inside and around the outside. I found mine on coloringpage.eu. First I found my flower and printed it out, then I took a black marker and went around the outside of the flower creating a thicker border so the flower could be cut out both inside and outside. Cut the flower out around the outside edge. Then cut out the inside, leaving the complete black border. 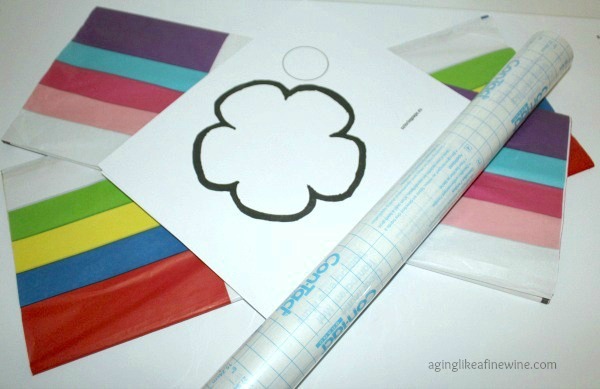 Then cut out two pieces of contact paper for each flower (large enough to fit the flower on). 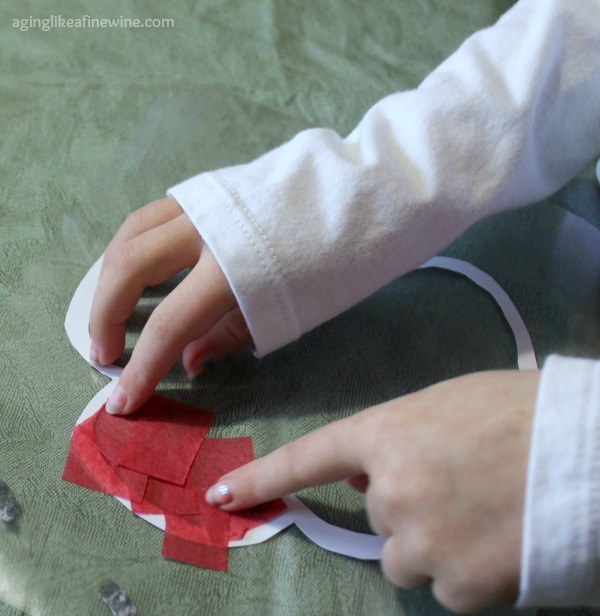 Cut various colors of tissue paper into small squares. Pull the backing off one piece of contact paper and lay the flower border, black side down, on the sticky contact paper. 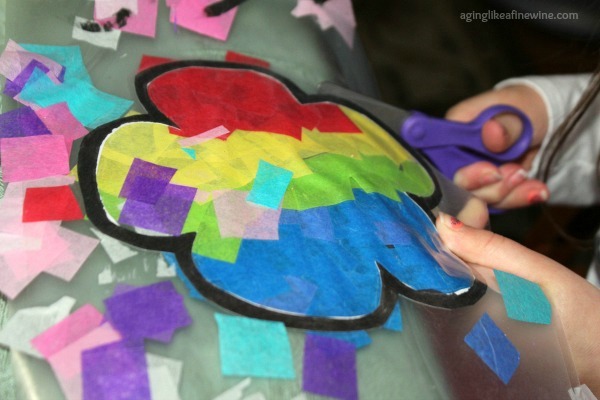 Then fill in the entire flower with tissue paper squares. 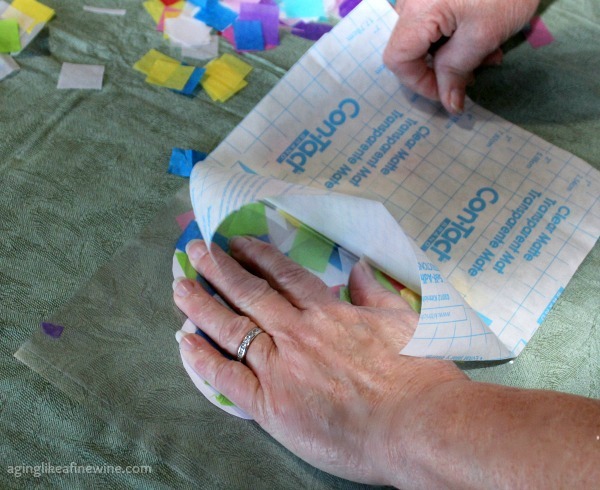 When your grandchild is satisfied with their colorful creation, pull the backing off the second piece of contact paper. Place it on top of the tissue paper, sticky side down. Then cut the extra contact paper off all around the outside edge of the flower. Place a hole in the top of your sun-catcher just big enough to get your fishing line or cord through. (Simple hack: thread a needle and push it through the sun-catcher and your line or cord will be pulled through with it.) 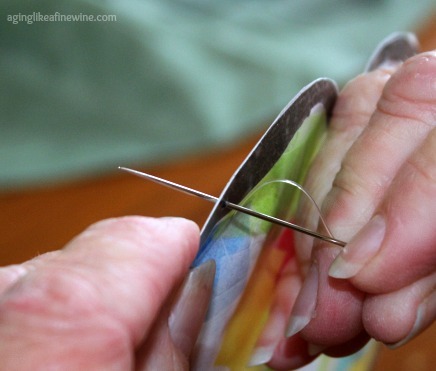 Then tie the line, thread or cord into a knot on the back side large enough to hold it in place. If needed you can always put a small dot of glue also. 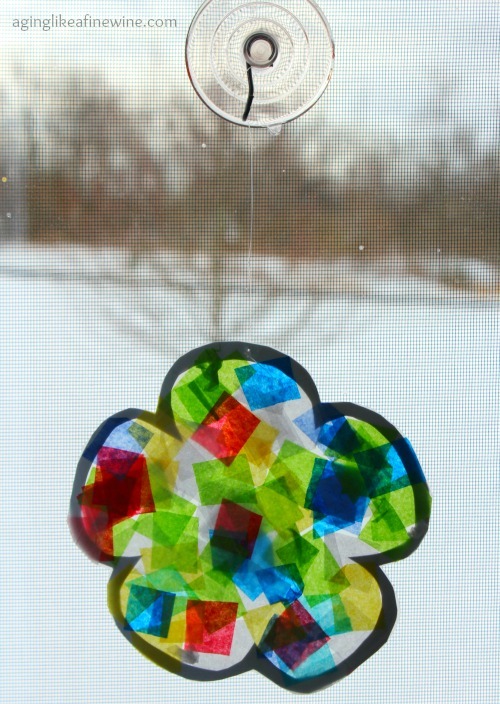 Put the suction cup on a window and hang your sun-catcher! 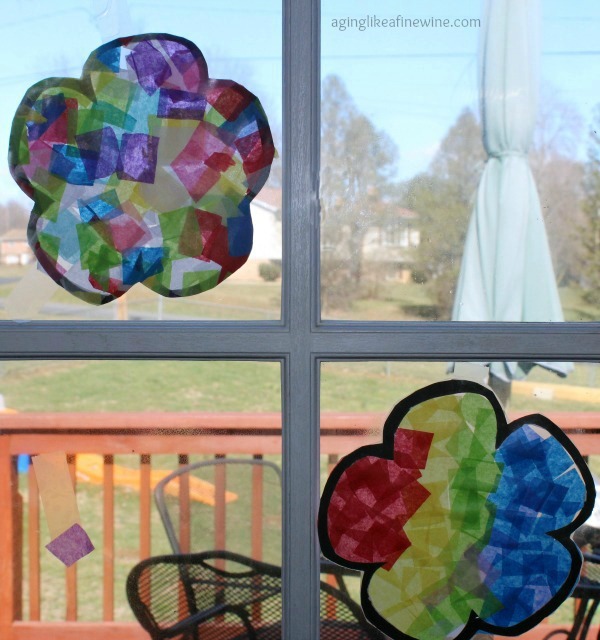 Or you can always go the easier route and just tape the flowers to your window like my granddaughter did. She enjoyed putting them where she felt they belonged! Last of all, our flower adventures of the day included reading these eBooks that I purchased from Amazon. I have a Kindle app on my iPad that makes it so easy to do! These books can also be purchased in paperback. P.S. Since writing this post, winter storm Stella has arrived blanketing us in snow! You always come up with the neatest ideas. Will have to do this one with Matthew. Our flower seeds are sprouting already! The grandkids enjoyed it, so I think Matthew would. Except little Zellene, she planted seeds and then her attention was lost to playing playdough with a new Frozen playset! 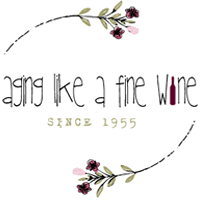 Hi, Teresa – It was nice to meet you at the Wednesday AIM link up. My grandchildren are currently 19 months, and 4 months. I am looking forward to doing increased activities with them (as you described in this post). Your blog is a great resource. I will definitely be back! Thank you Donna! Grandchildren are wonderful! My husband and I saw a quote once that said; “If I’d known grandchildren were so much fun, I would have had them first”. We laughed in agreement! Thank you for stopping by and reading. 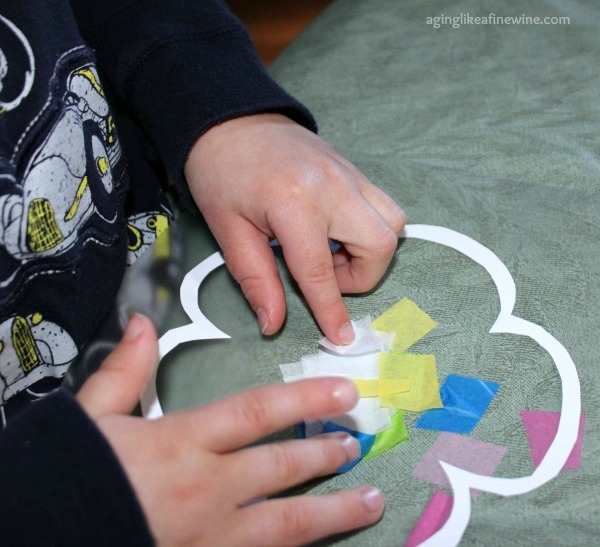 What a wonderful activity for children and making memories too. Thank you Teresa for sharing this post at Wednesday AIM Link Party at Grammy’s Grid. I shared it on social media. Hope you get lots of traffic! Everyday I’m checking the seeds and moving them into the windowsill so they can take in some sun. They are sprouting! Thank you for sharing on social media. Cute grandbabies! Thank you Teresa for linking up and co-hosting at the #BloggingGrandmothersLinkParty. I shared this post. Thank you! They are adorable, aren’t they! 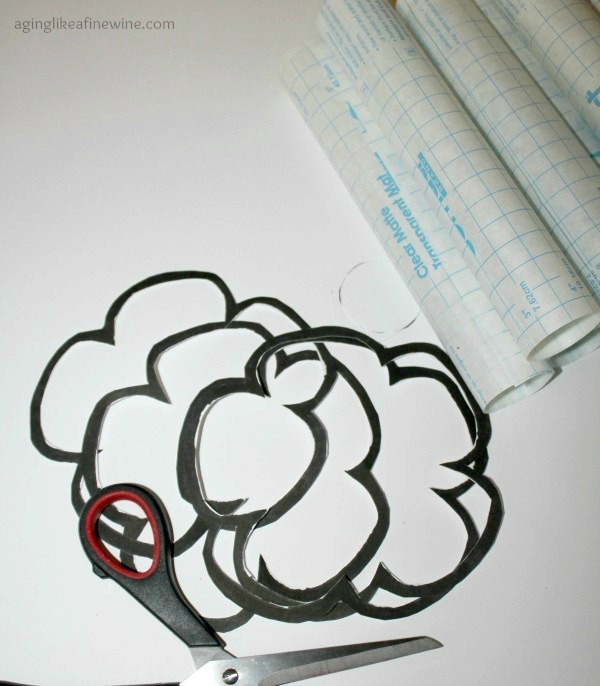 This sounds fun and easy- my kind of project! I have a five year old and a 15 month grand daughter (s). This would be fun for both. Thanks for the idea. I hope they enjoy it! I think they truly will; little girls especially seem to love crafts. And our seeds are sprouting, yeah! Thank you for reading and commenting. It was fun and I still have beautiful flowers adorning my windows! What beautiful grandchildren you have, Teresa. And it looks like they are having a good time. Thanks for linking up at #BloggingGrandmothersLinkParty. Thank you so much! Yes, we have such a good time with our craft projects! I LOVE your ‘grandchildren activities’, Teresa. Thanks for sharing these! 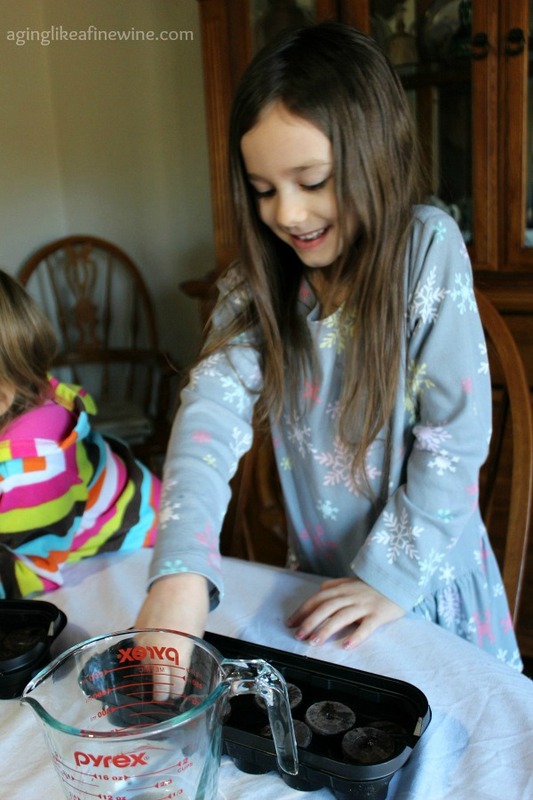 #BloggingGrandmothersLinkParty. Thank you Donna! I love to plan things like this for my days with my little ones. What a cute project! The kids look like they were having lots of fun, and they get to see their artwork hanging in the window after it was all done. Thank you for linking up at #BloggingGrandmothersLinkParty. I’m sharing your post on social media. Thank you Carol! At times my walls are full of their beautiful artwork! So much fun. Thank you for linking up at #BloggingGrandmothersLinkParty. I’m sharing your post on social media. We always have fun working on our crafts together! I try to have a craft for us every week, I don’t always succeed, but I try! I hope you enjoy it. Thanks so much for reading!